Explore the untouched beauty of Cape Tribulation on this premier day tour. An eye-opening experience, you’ll enjoy a guided tour of the Wildlife Habitat; getting up close and personal with the endangered Cassowary. On this packed tour you’ll not only take in all the must-see spots between Cairns and Cape Tribulation but also meet the endangered Cassowary and hold a koala, snake or crocodile (extra cost). Your day won't end there, heading to Alexandra Lookout as well as guided rainforest walks, taking in the fresh air and lush greenery. 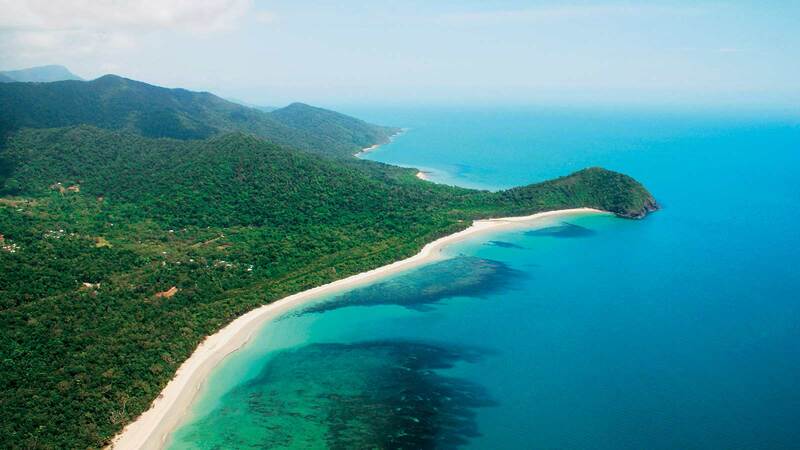 You’ll then have lunch at Cape Tribulation, all the while enjoying the beautiful white sand under your feet. Photos with a koala, snake or crocodile are available on the day at an extra cost. Pick up from your selected Cairns accommodation will be at approx. 7am, returning at approx. 7.30pm.